In 2011 by a group of concerned individuals and stakeholders – First Elephant Crises conference at Oyster Bay Hotel attended by over 70 people. The objective was alert the authorities and the public that elephant poaching had reached CRISIS LEVEL. The Ministry was in denial and a task force was created to follow up on how TEPS can collaborate with government to minimize elephant poaching in Tanzania. Although we struggled to convince the Ministry of the crisis, in 2012 CITES confirmed that 2011 was a catastrophic year for the elephant populations of Africa! 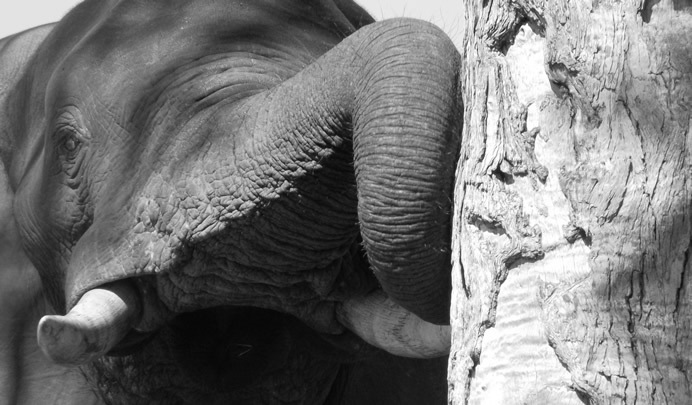 Jan to August 2012 – TEPS Task Force tried to co-organize a 2nd conference with Wildlife Division to raise awareness and raise funds for increased ranger patrols in areas highly affected by elephant poaching. Only one meeting was held, (Peacock Hotel) in which TEPS faced strong opposition from Wildlife Division staff, again challenging the word Crisis and the state of poaching. When Honorable Mr. Lembeli arrived, everybody at least temporally agreed that there was a crisis, and he praised TEPS efforts and allowed us to send the issue to his committee if things are not moving the way we expected. We wrote a letter to his committee but we never received feedback, the letter having been removed from the file by unknown individuals. TEPS organized a conference held in Dar es Salaam January 2013 and attended by media, WD, safari companies, hunting groups, concerned individuals, researchers, NGO’s and conservation partners. Two days were put aside to prepare a conference report. Committee Members also requested the team to return to Dodoma on 2nd May 2013 to do the same presentation to the Minister of Natural Resource and Tourism, his deputy and directors of Wildlife Division, Tanzania National Parks, Tanzania Wildlife Research Institute and Ngorongoro Conservation Area Authority. TEPS report was adopted by the parliamentary committee and presented it to the HOUSE and left the Minister with no option but declare war on poaching, and promised the parliament that he will initiate another but advanced Operation Uhai. The Ministry invited TEPS to work with WD to develop a plan and budgets for specific ecosystems.